The Ken Follett Papers arrived at Saginaw Valley State University in spring 2000 through Dr. Carlos Ramet’s contact with Follett. Dr. Ramet studied Follett’s writing extensively and developed a series of scholarly articles that culminated in his book, “Ken Follett: The Transformation of a Writer,” published in 1999. During the construction and remodeling of the Melvin J. Zahnow Library, the Papers were entrusted to the care of Dr. Carlos Ramet, formerly a Saginaw Valley State University professor and now the SVSU Associate Dean of the College of Arts & Behavorial Sciences. 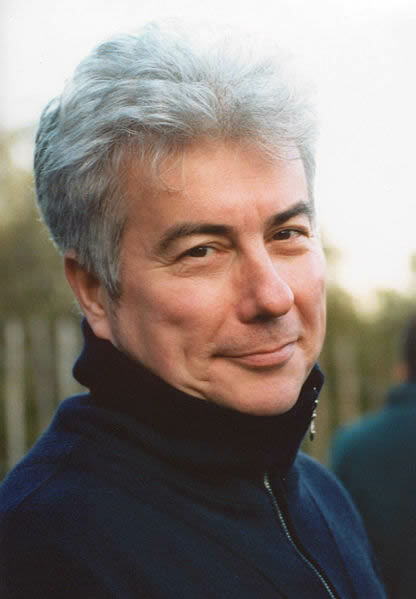 In 2003, the Ken Follett Papers were moved into the Archives Department for processing and an initial inventory. The Ken Follett Papers were dedicated in December 2004 at SVSU. An additional donation of materials was received by the university December 2009. The unpublished Ken Follett Papers are housed within 168 boxes and detail the author’s creative process and include such items as his handwritten notes and early manuscripts. Also included are personal correspondences, photographs, drafts of outlines and screenplays for selected works (Ups and Downs of a Soccer Star, Target: Fringe Banking and Numbers Man). Other sections of the Ken Follett Papers detail the in-depth research Follett required of his hired researchers and for himself in order to create accurate and exciting historical or contemporary settings. The Ken Follett Papers total over 60,000 documents. The material is the largest collection of Follett’s work in the world, and the collection is primarily related to his works published between 1978-2007. The Ken Follett Collection Collection tab is a listing of the folders within each box, most with links to pdfs of the text.. There are a total of 888 folders. The main topic of each correspondence is underlined for quick reference.